Every Christian tradition has an emphasis. Some traditions emphasize worship. Some emphasize doctrine and truth. Some emphasize social involvement and good works. Some emphasize unity among believers. Some emphasize vibrant Christian living. And these are all good emphases. But there is one underlying reality, often overlooked by many Christians, that unites all of our emphases. He is the one from whom all these good things in the body of Christ flow. He is the person that encourages and empowers us in these and all other areas of the Christian faith. He is always with us, laboring to apply salvation to us. He is the very life within us. He is none other than the Holy Spirit of God. This is the fourth lesson in our series on The Apostles' Creed. And we have entitled this lesson "The Holy Spirit" because we'll be focusing on the article of faith in the creed that affirms belief in the Holy Spirit, the third person of our Triune God. The only other statement about him in the creed is that the Holy Spirit conceived Jesus in Mary's womb. As you can see, the creed says relatively little about the Holy Spirit, at least explicitly. But it implies many important truths about him that have been crucial to believers throughout history. Our discussion of the Holy Spirit will divide into three parts. First, we will talk about his divinity, his full membership in the Godhead. Second, we will consider his personhood, noting that the Holy Spirit is a true person, and not simply a divine force. And third, we will explore the work that he did in the past, and that he continues to do today. Let's begin with the divinity of the Holy Spirit. To explore the Holy Spirit's divinity, we'll look in two directions. On the one hand, we'll see that the Apostles' Creed affirms belief in the Spirit's divinity. And on the other hand, we'll look at the biblical basis for the creed's teaching. Let's start with the way the Apostles' Creed affirms the divinity of the Holy Spirit. From the outset, we should admit that the Apostles' Creed does not explicitly state that the Holy Spirit is divine. But it implicitly affirms the Spirit's divinity in at least two ways. First, its Trinitarian structure equates the Holy Spirit with the Father and the Son in important ways. And second, the creed's description of Jesus' conception indicates that the Holy Spirit is divine. Let's look at both of these issues, beginning with the structure of the creed itself. You'll recall that in an earlier lesson, when we approached the creed from the perspective of the doctrine of God, we mentioned that the Apostles' Creed can be viewed as consisting of three main sections, each beginning with the statement "I believe." The first section speaks of belief in God the Father. The second section is about belief in Jesus Christ, his only Son, our Lord. And the third section summarizes belief in the Holy Spirit, and lists his active ministries. As we saw in a prior lesson, the Apostles' Creed developed over time, and its earliest versions were local baptismal creeds. Some of these early creeds included the words "I believe" before the articles concerning Jesus. But others simply used the word "and," like the version of the creed that was standardized around A.D. 700.  But regardless of their specific wording, the idea was the same: the creed was divided according to the three persons of God. And this division has been universally recognized by the church. This Trinitarian formula expresses the belief that there is only one God, and that he exists in three persons, namely the persons of the Father, the Son and the Holy Spirit. The early church father Hippolytus, who lived from A.D. 170 to 236, explained that the baptismal creed in use in his day made the Trinitarian structure very explicit. This creed probably began as a local creed, but it appears to have grown into fairly widespread use. Its language is very similar to the modern Apostles' Creed, and the way it was used in baptismal ceremonies highlights its strong Trinitarian emphasis. Hippolytus explained that baptism was performed by immersing a person three times. At each immersion, the person being baptized was to affirm the section of the baptismal creed pertaining to one of the persons of the Trinity. First the person confessed belief in the articles of faith relating to the Father; then the person was immersed. Then came affirmation of the articles of faith pertaining to the Son, followed by a second immersion. And finally, the affirmation of the articles related to the Holy Spirit, and the third and final immersion. Through this and similar practices in the early church, we can see that the structure of the creed itself was intentionally designed to highlight the divinity and work of each person of the Trinity, including the Holy Spirit. The second way that the Apostles' Creed affirms the divinity of the Holy Spirit is through its description of Jesus' conception. Was conceived by the Holy Spirit. The Holy Spirit will come upon you, and the power of the Most High will overshadow you. So the holy one to be born will be called the Son of God (Luke 1:35). Therefore, when Christ came into the world, he said: "Sacrifice and offering you did not desire, but a body you prepared for me; with burnt offerings and sin offerings you were not pleased. Then I said, 'Here I am — it is written about me in the scroll — I have come to do your will, O God'" (Hebrews 10:5-7). Here, we are told that creating Jesus' human body was specifically the work of God. In light of verses like these, it is safe to say that when the Apostles' Creed attributes Jesus' conception to the Holy Spirit, it intends to affirm the Spirit's divinity. Now that we've seen how the Apostles' Creed expresses belief in the divinity of the Holy Spirit, let's look the biblical basis for what it says. There is great value in recognizing that the faith we affirm today has been consistently affirmed throughout the centuries. This is one reason that it is so helpful to understand what the Apostles' Creed teaches about the divinity of the Holy Spirit. Even so, our greatest confidence is drawn from Scripture itself. We value the creed as a summary of Scripture, not as a replacement for Scripture. And for this reason, it's always important for us to make sure that what the creed says is biblical. The biblical basis for believing in the divinity of the Holy Spirit can be demonstrated in many ways. But for our purposes, we will focus on the names he is called, the attributes he possesses, the work he performs, and the Trinitarian formulas that refer to him. Let's begin with the different names attributed to the Holy Spirit in Scripture. The Holy Spirit is called by a host of names in the Bible. Some of these names suggest his divinity in a very implicit manner. Others are very explicit in calling him divine. And still others fall on a continuum between these two extremes. Perhaps the name that implies his divinity in the most implicit way is the name "Holy Spirit." The term "holy" can be used of aspects of creation that are not divine in any way. The word "holy" generally refers to things that are distinct from their common counterparts because they are special to God in some way. So, the word "holy" does not by itself indicate that the Holy Spirit is divine. Even so, it is important to note that throughout the Old Testament, it is God who is repeatedly referred to as "the Holy One." We see this in dozens of passages, such as 2 Kings 19:22, Isaiah 30:11-15, and Hosea 11:9-12. And there are other passages that seem to refer to God himself by the name Holy Spirit, such as Isaiah 63:10-11. We also see this type of naming in ancient but uninspired Jewish literature, such as in the Book of Wisdom, 9:17. Against this Old Testament backdrop, it is legitimate to see in the name "Holy Spirit" an implication of divinity. Who among men knows the thoughts of a man except the man's spirit within him? In the same way no one knows the thoughts of God except the Spirit of God (1 Corinthians 2:11). Our spirits are part of what makes us human. And there is nothing inhuman about them. They are entirely human. In the same way, the Holy Spirit is entirely divine. And this is what enables him to know the mind of the Father. So, by his work of revealing God's mind to Christians, the Holy Spirit demonstrates himself to be God. Ananias, how is it that Satan has so filled your heart that you have lied to the Holy Spirit and have kept for yourself some of the money you received for the land? … You have not lied to men but to God (Acts 5:3-4). In this passage, Peter first said that Ananias had lied to the Holy Spirit. And then Peter explained what he meant by saying Ananias had lied to God. Here the apostle Peter plainly called the Holy Spirit "God." So, as we consider the names by which the Holy Spirit is called in Scripture, we can see that many of them indicate his divinity in ways that range from very implicit to very explicit. A second way the Bible demonstrates the divinity of the Holy Spirit is by ascribing divine attributes to him. Christian theologians have traditionally spoken of God as having two distinct types of attributes: communicable attributes and incommunicable attributes. On the one hand, he has communicable attributes, which can be "communicated" or "shared" in some way with his creatures. For instance, God possesses the attribute of reason, which he communicates or shares with human beings. As finite creatures, human beings do not comprehend God's reasoning perfectly. But we still have the capacity to think in reasonable ways. Of course, this doesn't mean that we are divine. It simply proves that we were created by a rational God who communicated a measure of his attribute of reason to us. Our reason is derived from his; we reflect his attribute of reason because we are his creatures. Another communicable attribute of God is his love. And many places in Scripture teach that our love for other people, and even for God, derives directly from God's attribute of love. We see this in places like Galatians 5:22, Ephesians 5:1, 2 Timothy 1:7, and 1 John 4:7-21. But God also possesses incommunicable attributes — attributes that by their very nature cannot be shared with his creatures. The most familiar incommunicable attributes of God are things like his omniscience, which is his infinite intelligence, knowledge and wisdom; his omnipotence, which is his infinite power; his omnipresence, which is his existence in all places at the same time; and his eternality, which is his everlasting and unbreakable self-existence. Because God's incommunicable attributes can only belong to him, we can prove that the Holy Spirit is God by showing that he possesses one or more of these attributes. And as we survey Scripture we find that, in fact, he possesses them all. Consider first the Holy Spirit's omniscience. Scripture says that the Spirit perfectly knows the mind of God. We see this idea in Ephesians 1:17 and 1 Corinthians 2:10-11. Of course, God's mind is infinite, requiring an equally infinite mind to know it perfectly. By the Holy Spirit's ability to comprehend God's omniscient mind, the Holy Spirit himself is proven to be omniscient. And because he is omniscient, he must also be God. In the beginning God created the heavens and the earth. Now the earth was formless and empty, darkness was over the surface of the deep, and the Spirit of God was hovering over the waters. And God said, "Let there be light," and there was light (Genesis 1:1-3). As we have mentioned before, Old Testament references to God generally refer to the entire Trinity. 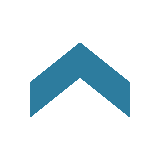 But it is also legitimate to see an emphasis on one person or another, according to the language and context. In this case, the emphasis is on the person of the Holy Spirit as the Spirit of God. So, the work of creating the light was done by the Holy Spirit. The same is true of everything else that God created in this chapter. But in order for the Holy Spirit to have had such omnipotence, in order for him to have created something out of nothing, he must have been fully divine. Another incommunicable attribute the Holy Spirit possesses is omnipresence. Passages like Psalm 139:7-10 teach us that the Spirit is present throughout every part of creation, from the heights of heaven to the depths of the sea. And the Holy Spirit also has the attribute of eternality. Hebrews 9:14 refers to the Holy Spirit as the "eternal Spirit," meaning that he has always existed, and will continue to exist forever. Through these incommunicable attributes, and others like them, the Bible clearly indicates that the Holy Spirit is God. A third evidence in Scripture for the divinity of the Holy Spirit is the type of work he does. We will investigate the Holy Spirit's work in much greater depth later in this lesson. At this point, we simply want to take a quick look at a few of his works in order to see how they demonstrate his divinity. The Holy Spirit performs many works that the Bible indicates are appropriate to God alone, and that exhibit divine power and attributes. For example, he creates new life when he regenerates our spirits, as we read in Romans 8:11. He is our access to the Father, as we are taught in Ephesians 2:18. He applies salvation to us, as we learn in Romans 5–8. His is the power behind the miracles of the prophets, and even of our Lord Jesus, as we see in passages like Romans 15:4,19. Although the list of the divine works of the Holy Spirit is nearly endless, let's focus our attention on just a couple prominent examples for the sake of illustration. In the first place, the Holy Spirit inspired the writing of Scripture, which is the very word of God. And in recognizing that the Word of the Holy Spirit is the Word of God, we acknowledge that the Holy Spirit is God himself. We find this idea in Matthew 10:20, John 3:34, Acts 1:16 and 4:31, and Ephesians 6:17. In this passage, Peter taught that to be carried along by the Holy Spirit is to speak from God. Scripture is the word of God because it is inspired and spoken by God, specifically, the Holy Spirit, who is the third person of God. I tell you the truth: It is for your good that I am going away. Unless I go away, the Counselor will not come to you; but if I go, I will send him to you (John 16:7). Think about this for a moment. According to Jesus himself, the church is better off with the presence of the Holy Spirit than we would be with the immediate bodily presence of Jesus. But a created, finite being could never outmatch the blessing of the earthly presence of Christ. No, in order for the Holy Spirit to be more beneficial to us than God the Son, the Spirit must himself be God. A fourth way Scripture asserts the divinity of the Holy Spirit is through Trinitarian formulas that include his name alongside those of the Father and the Son. A Trinitarian formula is a passage in Scripture that explicitly mentions all three persons of the Trinity on a relatively equal basis, typically by demonstrating their cooperation. By mentioning the Father, the Son and the Holy Spirit as equal partners, the Bible indicates that the Holy Spirit is just as divine as the Father and Son. We find these formulas in Romans 15:30, 1 Corinthians 12:4-6, 2 Thessalonians 2:13-14, and several other places. Let's look at just two examples of these formulas. In this formula, Jesus indicated that baptism was to be performed in the name or authority of all three persons of the Trinity. This command makes no distinction between the relative honor of the persons of God. Instead, it presents all three as equals. May the grace of the Lord Jesus Christ, and the love of God, and the fellowship of the Holy Spirit be with you all (2 Corinthians 13:14). In this closing benediction to his letter, Paul grouped together: the Son, namely the Lord Jesus Christ; the Father, whom he simply referred to as God; and the Holy Spirit. In doing so, he presented all three persons as equal partners in providing the blessings of salvation. Formulas like these indicate that the Holy Spirit is an equal person in the Godhead. They demonstrate that the Father, the Son and the Holy Spirit are equal to each other in matters that involve essential divine attributes and activities, such as providing grace and salvation to sinners, and receiving honor and worship as God. Now that we have considered the divinity of the Holy Spirit, we are ready to turn to our second topic: his personhood. In this section, we will look at the fact that we have to deal with the Holy Spirit as a true person and not simply as a divine force or power. Throughout the history of the church, many groups have denied that the Holy Spirit is a person that has a distinct self-awareness and divine personal attributes. Some have believed that he is simply the Father in another form. Others have argued that the name "Holy Spirit" is just a name that ancient writers used to describe God's power. But from the structure of the Apostles' Creed, we can see that it affirms the biblical position that Holy Spirit is a real and distinct person within the Godhead. This is the clear teaching of Scripture, and it has been the position of every branch of the Christian church throughout the ages. From the outset we need to admit that the Apostles' Creed does not spell these matters out explicitly. But when we consider the important theological debates about the Holy Spirit in the first few centuries of Christianity, we can see that the creed's affirmation of the Holy Spirit as a member of the Trinity is also an implied affirmation of his personhood. Along with the rest of biblical Christianity, the Apostles' Creed rejects de-personalizing the Spirit of God into a mere force or divine power. As we consider the biblical basis of the creed's affirmation of the Holy Spirit's personhood, our discussion will divide into three parts. First, we'll look at the personal attributes that the Holy Spirit possesses. Second, we will focus on his personal distinction from the Father and the Son. And third, we will describe his personal relationship to the other members of the Trinity. We'll begin with the attributes that prove the Holy Spirit is a full person. When we speak of the personal attributes of the Holy Spirit, we have in mind those qualities he possesses that are unique to persons — things that can only be true about him if he's a real person and not simply an impersonal force. One and the same Spirit works all these things, distributing to each one individually just as He wills (1 Corinthians 12:11, NASB). The Holy Spirit wants certain people to have certain gifts, and others to have other gifts. Impersonal forces do not have plans and desires. Only persons do. Therefore, the Holy Spirit must be a person. The Holy Spirit also has the attribute of intelligence, through which he possesses knowledge and the ability to teach others. He expresses this intelligence in many ways, such as by searching and knowing the mind of God, as we read in 1 Corinthians 2:10-12, and by having his own mind as we read in Romans 8:27. He also gives wisdom and knowledge, as in 1 Corinthians 12:8. And he teaches in Luke 12:12. The Holy Spirit, whom the Father will send in my name, will teach you all things and will remind you of everything I have said to you (John 14:26). Impersonal forces do not think, know and teach. So, the attribute of intelligence proves that the Spirit is a person. Do not grieve the Holy Spirit of God, with whom you were sealed for the day of redemption (Ephesians 4:30). The fact that the Holy Spirit has emotions like grief indicates that he is a true person. The Spirit himself intercedes for us with groans that words cannot express… the Spirit intercedes for the saints in accordance with God's will (Romans 8:26-27). The fact that the Holy Spirit prays for believers is another proof of his personhood. Impersonal powers and forces do not pray and intercede, groaning in sincerity. Only persons can do these things. The Holy Spirit helps us to bear the infirmity of our body and of our mind; he helps us to bear our cross, whether it be physical pain, or mental depression, or spiritual conflict, or slander, or poverty, or persecution. He helps our infirmity; and with a helper so divinely strong we need not fear for the result. God's grace will be sufficient for us; his strength will be made perfect in weakness. Now that we have seen how the Holy Spirit's personal attributes demonstrate his personhood, we are ready to consider his distinction from the Father and Son as a separate person within the Trinity. We should begin by admitting that there are several passages in the Bible where the distinction between the Spirit and the other persons of the Trinity is not entirely clear. For example, the Holy Spirit is identified as the Spirit of God's Son in Galatians 4:6, and as the Spirit of the Father in Matthew 10:20. And he has several other names that highlight the relational connections between the members of the Trinity, rather than their distinctiveness. Although these kinds of passages were the sources of much debate in the early church, these close associations should not surprise us. After all, the three persons of the Trinity are only one God. So, it makes perfect sense to think of the Holy Spirit as the Spirit of the Father and of the Son, and at the same time to insist that he is an entirely distinct person from them. Jesus said in this instance that the Holy Spirit would not come unless the Son first went away. Clearly, he distinguished himself from the Spirit by saying that one goes before the other comes. Each one had an appointed role, and the role of the Spirit would not begin until the Son had completed his earthly work and ascended into heaven. This makes it clear that the Spirit is distinct from the Son. In a similar way, the Spirit also does things that distinguish him from the Father. For example, as part of his role as our Counselor, the Holy Spirit is our defense attorney, assisting our prayers by pleading our case before God. We do not know what we ought to pray for, but the Spirit himself intercedes for us with groans that words cannot express. And he who searches our hearts knows the mind of the Spirit, because the Spirit intercedes for the saints in accordance with God's will (Romans 8:26-27). When Paul taught that the Holy Spirit intercedes on our behalf with the Father, he demonstrated that they are distinct persons — one interceding, and the other hearing the intercession. Having talked about the Holy Spirit's personhood in terms of his personal attributes and his distinction from the Father and Son, let's now look at his relationship to the other persons of the Trinity. As we have mentioned throughout these lessons, the relationships between the persons of the Trinity have traditionally been described from two different perspectives. Specifically, theologians have spoken of the ontological Trinity and the economic Trinity. Both of these are perspectives on the same Trinity — the Father, the Son and the Holy Spirit. But they emphasize different aspects of the relationships between these three divine persons. When we talk about the ontological Trinity, we are focusing on God's being and existence. From this perspective, the Holy Spirit is equal in power and glory to the Father and the Son. All three of God's persons are infinite, eternal and unchangeable. And each has the same essential divine attributes, such as wisdom, power, holiness, justice, goodness and truth. And when we talk about the economic Trinity, we are considering how God's persons interact with each other. From this perspective, each person of the Godhead has different responsibilities, different authority, and a different assigned role. The Spirit's authority is subject to the higher authority of the Father and the Son. And the Spirit's role is largely to carry out their instructions and to bring them glory. In Christian theology, in both the ontological Trinity and the economic Trinity, the Holy Spirit is called the third person. He is the third person of the ontological Trinity because he is breathed out by the Father, who is the first person, and by the Son, who is the second person. Now, we should pause to say that the churches of Eastern Orthodoxy teach that the Holy Spirit is breathed out by the Father alone, and not by the Son. This difference in teaching was part of the reason for the schism between the Eastern and Western churches that began in A.D. 1054 and continues to this day. Of course, because the Apostles' Creed was created before this controversy, it did not address this disagreement between the East and the West. And both branches of the church affirm all the statements of the Apostles' Creed. With regard to the economic Trinity, the Holy Spirit is said to be the third person because he holds the third rank, being subordinate both to the Father and to the Son. The Scriptures indicate his subordination in a number of ways. For instance, he is sent or given by the Father and the Son. Scripture teaches this in passages like Luke 11:13, John 14:26 and 15:26, and Acts 2:33. And when he comes, the Spirit obeys the Father and the Son by doing the work they've sent him to do. We learn of this in places like John 16:13, Romans 8:11, and 1 Peter 1:2. Of course, even when we say that the Holy Spirit holds the lowest rank from the perspective of the economic Trinity, it is important to emphasize that he is still fully God, and has absolutely sovereign authority over every aspect of creation. Moreover, within the Trinity, there is a sense of mutual deference, since what one person does, they all do. So, the Holy Spirit's subordination to the Father and the Son does not mean that he is somehow inherently inferior to them — he is not. He is fully equal to them in their essential divinity. The Holy Spirit's personhood is an indispensable part of Christian theology. And as we have seen, we have many reasons to affirm it. The Holy Spirit possesses attributes that clearly mark him as a distinct, self-aware personality. And his relationships and interactions with the Father and the Son leave no doubt that he is a vibrant person and not simply a mindless force or power. We can and should have great confidence in this traditional doctrine. So far in this lesson on the Holy Spirit, we have looked at the Apostles' Creed's affirmation of the Spirit's divinity, and of his full personhood. At this point, we are ready to address our third major topic: the work that the Holy Spirit has done throughout history and continues to do today. Although the Apostles' Creed does not explicitly describe much about the Spirit's work, by affirming "I believe in the Holy Spirit," the creed originally implied a number of beliefs about the work of the Spirit. There are many ways to describe the Spirit's work, but we will explore just four of its aspects. First, we'll look first at his creative power. Second, we'll focus on his work of sanctification. Third, we'll talk about his administration of grace. And fourth, we'll describe the revelation he provides. Let's begin with his creative power. By the term "creative power," we mean both the Holy Spirit's ability to create new things, and his ability to govern and to alter what has been created. Our discussion of the Holy Spirit's creative power will focus on three different levels of his activity. First, we'll talk about his creative works in the natural world. Second, we'll focus on the spiritual gifts he provides to the church. And third, we will consider his role in the personal renewal of our human spirits and hearts. Let's begin with the way his creative power is demonstrated in the natural world. The Holy Spirit's creative power in the natural world is first seen in the opening verses of the Bible. Earlier in this lesson, we looked at the Spirit's role in the creation account of Genesis 1, noting that he exercised divine omnipotence to create the world from nothing. We find a similar idea in Psalm 104:30, where the psalmist praised God for sending his Spirit to create the earth and all of its creatures, not only in the original creation week, but also on a daily basis. Psalm 33:6 echoes this idea, and Job 33:4 extends it specifically to human beings. When you send your Spirit, they are created, and you renew the face of the earth (Psalm 104:30). In this verse, the psalmist expressed his understanding of the way everything in creation comes to exist. And he attributed everything to the Spirit of God, the Holy Spirit. The Holy Spirit's creative power in the natural world can also be seen through the many miracles he empowered in Scripture. For example, in the Old Testament, he enabled Moses to get water from a rock in Exodus 17:6. And he multiplied the widow's flour and oil in 1 Kings 17. In the New Testament, he enabled Jesus to multiply food to feed five thousand people in Matthew 14, and four thousand people in Matthew 15. He raised Jesus from the dead, as we read in Romans 8:11. And he also empowered all of Paul's miracles and ministry, as we learn in Romans 15:18-19. Of course, one of his greatest miracles was the incarnation, causing the Virgin Mary to become pregnant with Jesus. This particular miracle, recorded in Luke 1:35, is the only work of the Holy Spirit explicitly mentioned in the Apostles' Creed. Even today, the Holy Spirit has dramatic power to create, to renew, and to bring all of creation to the final state God intended for it. In fact, his renewal of the world won't be finished until he completely reverses all the effects of humanity's fall into sin. Genesis 3 tells us that when Adam and Eve ate the forbidden fruit from the Tree of the Knowledge of Good and Evil, God cursed them. And because humanity had been given authority as God's vice-regents or representatives over the whole earth, God's curse on Adam and Eve impacted the whole creation, including even the ground itself. Since that time, the Holy Spirit has been working in the world to restore it and to bring it to its final state. And the result will be the new heavens and new earth that we read about in places like Isaiah 65:17 and 66:22, 2 Peter 3:13, and Revelation 21:1. Now that we have looked at the Holy Spirit's creative power in the natural world, we are ready to see how he uses his creative power to provide spiritual gifts to the church. Abilities of supernatural origin that the Holy Spirit gives to individuals for the purpose of building up the church. The Spirit creates these gifts by granting new abilities to people who previously lacked them, or by enhancing existing abilities beyond the natural talents or experience of the person who receives them. Lists of the types of gifts the Holy Spirit gave to the early church appear in places like Romans 12, 1 Corinthians 12, and Ephesians 4. Some of these gifts resemble natural talents or universal human abilities. These are abilities that even people outside the church possess in some measure, simply because they are created in God's image — things like wisdom, knowledge, serving, teaching, encouraging, generosity, leadership, and mercy. But other spiritual gifts obviously have direct supernatural origins, such as healing and miraculous powers. And still others lie somewhere on a continuum between the natural and the supernatural, such as prophecy, speaking in tongues, interpreting tongues, and discerning spirits. Now, all Christians agree that the Holy Spirit gives supernatural gifts to his church. But within this general agreement, there are a variety of nuanced views that fall somewhere along a scale. Some churches hold a cessationist position, believing that in the modern age the Holy Spirit only gives gifts that resemble natural talents. The more spectacular gifts are thought to have died out, perhaps after the apostolic age, or with the closing of the canon of Scripture. Other churches hold to a continuationist position. They believe that the Spirit still gives all the same gifts that we find manifested in the New Testament. Within this position, there are many different viewpoints regarding which gifts any individual Christian can be expected to receive. Between these two extremes, there are a variety of moderate views. Moderate churches tend to believe that the Holy Spirit can still give spectacular gifts when he wants to. But they do not insist that the Holy Spirit must always give every type of gift to his church. These churches emphasize the freedom of the Holy Spirit to act in any way at any time. To each one the manifestation of the Spirit is given for the common good (1 Corinthians 12:7). As Paul indicated here, spiritual gifts are given for the sake of the church. Gifted individuals may also benefit from their own gifts. But the primary goal and focus of gifting is the benefit of the church. They are creative works of power that the Holy Spirit uses to build up his church as a whole. With this understanding of how the Holy Spirit uses his creative power in the natural world and in providing spiritual gifts to the church, let's look at how his power is manifested in the personal renewal of each believer's spirit and heart. He saved us through the washing of rebirth and renewal by the Holy Spirit (Titus 3:5). All these changes in our character result from the active, creative power of the Holy Spirit as he conforms us to the image of Jesus Christ. When Paul said that followers of Christ have the firstfruits of the Spirit, he drew his language from the Old Testament practice of bringing offerings from the first harvest as representative of the entire harvest of that year. In much the same way, the Holy Spirit's current work in believers is just the firstfruits of something much greater to come. The Holy Spirit's work won't be finished until he completely re-creates us, removing our curse and corruption, and restoring us to a pristine, sinless state. So far, the Spirit has given our spirit's new life. But he will eventually re-create our bodies, too. Now that we have looked at the Holy Spirit's works of creative power, we should turn our attention to his work of sanctification. When we speak of the Spirit's work of sanctification, we are talking about the act of making people and things holy. This is the work the Spirit does to set people and things apart for God's use, to purify them, and to make them fit to be near his unveiled glory. In many ways, this idea is closely related to the concept of renewal that we looked at in the last section of this lesson. Do you not know that you are a temple of God and that the Spirit of God dwells in you? … [T]he temple of God is holy, and that is what you are (1 Corinthians 3:16-17, NASB). In the Old Testament, the Jewish temple was God's earthly palace where his special presence used to dwell. It was his house on earth, as Solomon proclaimed in 2 Chronicles 6:1. But in the New Testament, God no longer dwelled in the temple. Instead, the Holy Spirit sanctified the church as the new temple. This same idea is mentioned explicitly in Ephesians 2:22, and is echoed in other parts of Scripture. The Holy Spirit is also said to sanctify individual believers by indwelling them. This is the idea that the Holy Spirit actually lives within the hearts of believers. This indwelling is mentioned in many places in Scripture, such as Romans 8:9-16, 1 Corinthians 6:19, 2 Timothy 1:14, and James 4:5. The wicked will not inherit the kingdom of God … And that is what some of you were. But you were washed, you were sanctified, you were justified in the name of the Lord Jesus Christ and by the Spirit of our God (1 Corinthians 6:9-11). Through the sanctifying work of the Holy Spirit, believers have been purified and set apart for God, so that they are no longer counted among the wicked. Have you ever stopped to think about how special it is that God himself lives inside you? The creator of the universe loves you so much that he has united you to himself for the rest of eternity. You do not teeter on the edge of his approval. You are hidden deep within his heart. And this relationship strengthens you against sin. It gives you the power to resist temptation, and to live in ways that please God. And when you do sin — no matter how bad it is — you are still acceptable in God's sight. You are still fit to enter his presence to fellowship with him, to worship him, and of course, to ask for and to receive his forgiveness. So far, we've considered the Holy Spirit's creative power and his work of sanctification. At this point, we're ready to talk about the various ways that he administers divine grace. We'll talk about the Holy Spirit's administration of three types of grace: common grace, covenant grace, and saving grace. Let's begin with common grace. Common grace is the forbearance that God shows and the benefits that he gives to all humanity, regardless of their faith. The Holy Spirit does not give common grace to all people equally. Rather, he works here and there, according to his plans and desires. For example, common grace is seen in the way that the Holy Spirit restrains sin in the world. Fallen unbelievers are controlled by sin, as Paul taught in Romans 8:1-8. They are hostile to God by nature, and they love sin. But as Paul taught throughout Romans 7–8, the Holy Spirit combats sin in the world. This is similar to the way he works in believers after he regenerates them. Although he does not grant a blessing this great to unbelievers, it is still true that he often restrains them so that they do not sin as greatly as they are able. Another aspect of common grace that is frequently seen in the world is the knowledge that unbelievers acquire, and the good things they are able to do with that knowledge. Unbelievers can learn many valuable truths that they use to benefit the church and its believers, along with the rest of humanity. And whenever anyone discovers something useful, that knowledge is a gracious gift from the Holy Spirit. Whenever we come upon these matters in secular writers, let that admirable light of truth shining in them teach us that the mind of man, though fallen and perverted from its wholeness, is nevertheless clothed and ornamented with God's excellent gifts. If we regard the Spirit of God as the sole fountain of truth, we will neither reject the truth itself, nor despise it wherever it shall appear, unless we wish to dishonor the Spirit of God … But if the Lord has willed that we be helped in physics, dialectic, mathematics, and other like disciplines, by the work and ministry of the ungodly, let us use their assistance. In many places in Scripture, we can see a second type of grace administered by the Holy Spirit that is sometimes called covenant grace. Covenant grace consists of the forbearance and benefits that God gives to everyone that is part of his covenant people, even if they are not true believers. In the Old Testament, Israel was God's covenant people because the whole nation was under God's special covenants with Abraham, Moses and David. In the New Testament, God's covenant people are the visible church which consists of people associated with the church even if they are not true believers. God's covenant grace is even more abundant and forbearing than his common grace. The Israelites groaned in their slavery and cried out, and their cry for help because of their slavery went up to God. God heard their groaning and he remembered his covenant with Abraham, with Isaac and with Jacob. So God looked on the Israelites and was concerned about them (Exodus 2:23-25). Notice why God was concerned about Israel and rescued them. It was not because they were faithful to him, but because they were included in the covenant he had made with their forefathers Abraham, Isaac and Jacob. And the same thing is true in the church today. For example, everyone that is part of the church is regularly presented with the gospel and the opportunity to repent and be saved. And they share in those blessings that God grants to the church as a whole. In fact, unbelievers in the church even benefit from the spiritual gifts of the church, as we learn in Hebrews 6:4-6. This is why Hebrews 10:29 says that unbelievers in the church insult the Spirit of grace through their unfaithfulness. Finally, the third type of grace administered by the Holy Spirit is what many theologians call saving grace. Saving grace is the application of the eternal benefits of Christ's perfect life, death, resurrection, ascension and glorious return to those who receive him as Lord and Savior. Every believer receives saving grace from the Holy Spirit. The blessings we receive as a result of the Holy Spirit's administration of saving grace are already reserved for us on the basis of Jesus' work. But we do not begin to receive their benefits until the Holy Spirit applies them to us. The most obvious of these blessings are things like regeneration, by which the Holy Spirit gives new life to our spirits, so that we are born again. We read about this in passages like John 3:5-8, Romans 8:2-11, and Titus 3:5. Repentance, forgiveness of sins and justification are also saving graces the Holy Spirit applies to us, as we see in Zechariah 2:10, 1 Corinthians 6:11, and Titus 3:5-8. The New Testament also speaks of salvation as a whole being applied to us by the Holy Spirit, as in 2 Thessalonians 2:13 and Titus 3:5. When Christians talk about individual salvation, we tend to focus on Jesus Christ and his work. And of course this is a fine thing to do. But it's also important to recognize the role the Holy Spirit plays. More than any other person of the Trinity, the Holy Spirit is active in our lives, making sure that we receive forgiveness, and joy, and goodness, and strength, and peace, and all the other blessings of salvation. So, if we want to receive these things in abundance, we should appeal to him for his saving grace. And beyond this, we need to honor the Spirit for his faithfulness and mercy. The saving grace he grants us makes him more than worthy of our thanks, our adoration, our worship, and our love. Now that we have explored the Holy Spirit's works of creative power, sanctification and grace, we are ready to look at his works of revelation. The Spirit is the truth (1 John 5:6). The Spirit of wisdom and revelation (Ephesians 1:17). We'll speak of three aspects of the Spirit's work of revelation. First, we'll talk about general revelation. Second, we'll look at special revelation. And third, we'll focus on illumination and inward leading. Let's look first at general revelation. General revelation is: God's use of the natural world and its workings to make his existence, nature, presence, actions and will known to all humanity. Scripture often says that general revelation is delivered through the Holy Spirit's works of creative power in nature — both in the act of creation itself, and in sustaining what has been created. All these works flow from the Spirit's will and character. So, as we recognize his hand in them, they teach us about his nature and intentions. In addition to providing general revelation to the world, the Holy Spirit provides special revelation, primarily to the church. Special revelation is: God's direct involvement, or his use of messengers, to make his existence, nature, presence, actions and will known to limited portions of humanity. The Holy Spirit has provided special revelation in the form of Scripture, prophecies, dreams, visions, angelic visitations, and other unusual media. Special revelation is given primarily to special people or groups, particularly those who receive God's offer of salvation. In the Old Testament, special revelation was given mostly to Abraham and his descendants. And in the New Testament, it was given to the church. Like spiritual gifts, special revelation is for the benefit of all God's people, in order to convert and build up everyone in the faith. The greatest special revelation the Holy Spirit ever gave us was the incarnation of Jesus Christ himself. Hebrews 1 praises our Lord as the pinnacle of all God's revelation. And even now, the Holy Spirit continues to point us to Christ through the inspired Scriptures, which contain the words of Christ from all ages, relayed to us through his authoritative prophets and apostles. Since the apostolic age, the Spirit no longer inspires new Scripture. But the special revelation he has provided in the Old and New Testaments continues to reveal his will to Christians in every age. Third, in addition to providing general revelation and special revelation, the Holy Spirit also works through the illumination and inward leading of individuals. Illumination is a divine gift of knowledge or understanding that is primarily cognitive, such as the knowledge that Jesus is the Messiah, which Peter received in Matthew 16:17. I keep asking that the God of our Lord Jesus Christ, the glorious Father, may give you the Spirit of wisdom and revelation, so that you may know him better (Ephesians 1:17). Here, Paul called the Holy Spirit "the Spirit of wisdom and revelation." In terms of the categories of illumination and inward leading, we might be tempted to see wisdom as inward leading and revelation as illumination. And this may be what Paul had in mind. On the other hand, he may simply have been referring to both works of the Spirit collectively, without drawing a clear distinction between them. Illumination and inward leading are normal means the Holy Spirit uses to teach his people the truths he has revealed. Accordingly, there are at least three things we can do to benefit from this ministry in our lives. First, we can commit ourselves to studying the Bible, knowing that when we do, the Holy Spirit will often guide our understanding. Second, we can dedicate ourselves to prayer, continually asking the Holy Spirit for guidance, wisdom, understanding, and the will to obey. And third, we can devote ourselves to righteous and holy living, being determined to live according to the truths the Spirit teaches us. 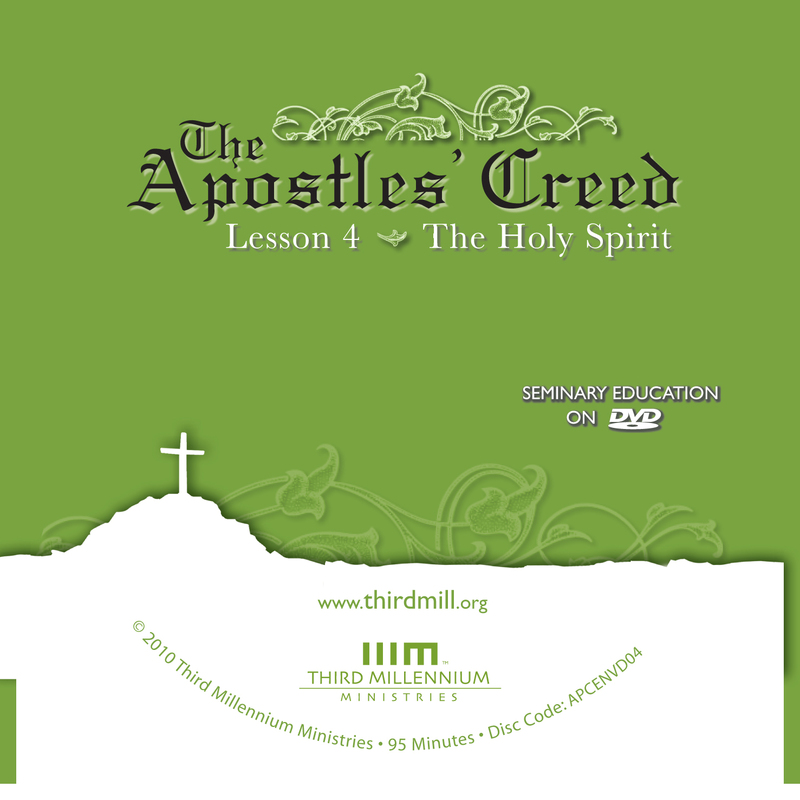 In this lesson on the Apostles' Creed, we have looked at the doctrine of the Holy Spirit. We have considered the Spirit's divinity in terms of the creed and its biblical basis. We have explored his personhood according to his attributes, and in light of his relationship to the Father and the Son. And we have spoken of his works of creative power, sanctification, grace and revelation. The doctrine of the Holy Spirit is a rich wellspring for Christians. It teaches us about the third person of the Trinity, who is our closest source of help at all times. It points us to the one who is most responsible for motivating and empowering us to live in ways that please God. And it gives us great confidence that God is deeply and personally involved in the world at all times, always working for the benefit of everyone who puts their faith in him. Dr. Donald Whitney is Associate Professor of Biblical Spirituality and the Senior Associate Dean of the School of Theology at The Southern Baptist Theological Seminary.